This introductory webinar provides a complete overview of the principles, processes, and procedures for successfully resolving coverage and claims disputes. 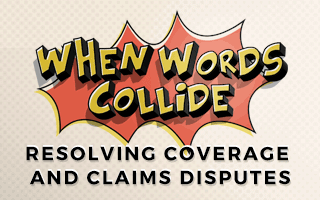 Learn why claims are denied, two essential ways to deal with claims disputes, insurance policy interpretation doctrines, legal and contractual principles that can be used outside the courtroom to resolve disputes without litigation, and a 4-step process for claims resolution. Understand the evolution of claims resolution and why a structured approach is more essential today than ever before. Learn why insurance is not a commodity and how to explain this critical truth to customers in the face of insurtech competition and incessant price-focused industry advertising. Develop an arsenal of interpretive skills based on critical legal and contractual doctrines and principles that can be used to resolve well over 90% of all coverage and claims disputes without litigation. Apply a proven 4-step method that has been used by the presenter to successfully resolve insurance coverage and claims disputes for over 30 years.